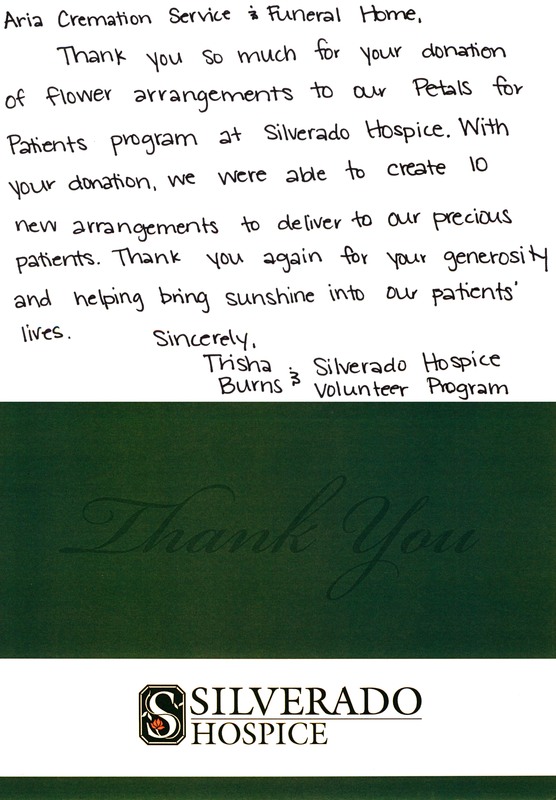 Thank you so much for your donation of flower arrangements to our Petals for Patients program at Silverado Hospice. With your donation we were able to create 10 new arrangements to deliver to our precious patients. 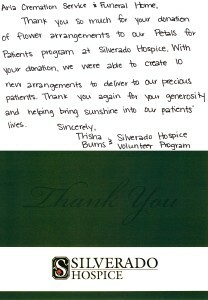 Thank you again for your generosity and helping bring sunshine into our patients’ lives.